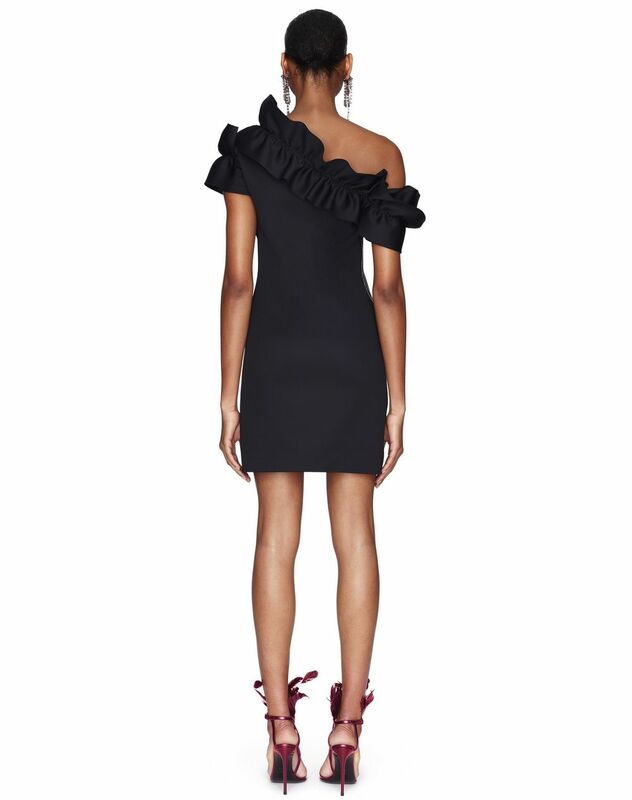 Short dress in black neoprene, asymmetrical sleeves and neckline with draped ruffle insets, fitted waist and a lacquered zip appliqué on the side. 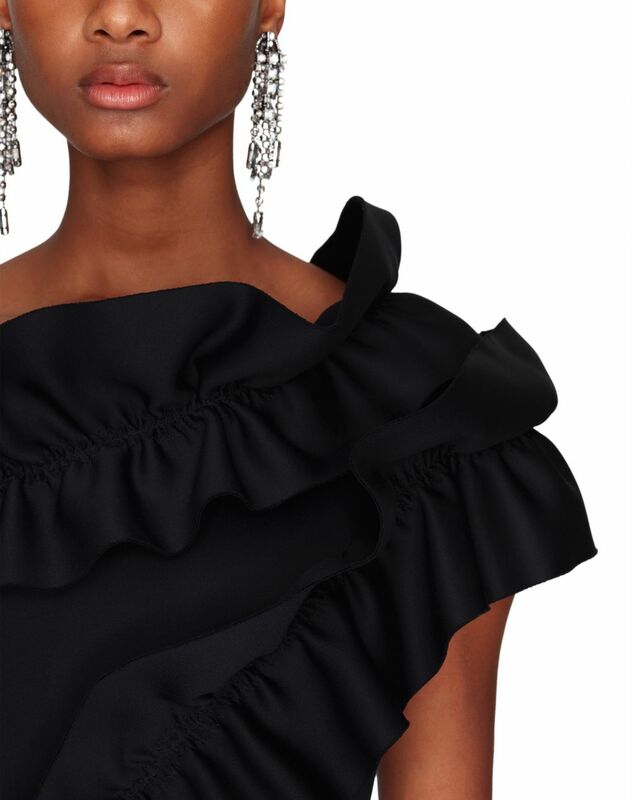 Contemporary and feminine, this short black dress stands out for its asymmetrical cut and its ultra-comfortable material. 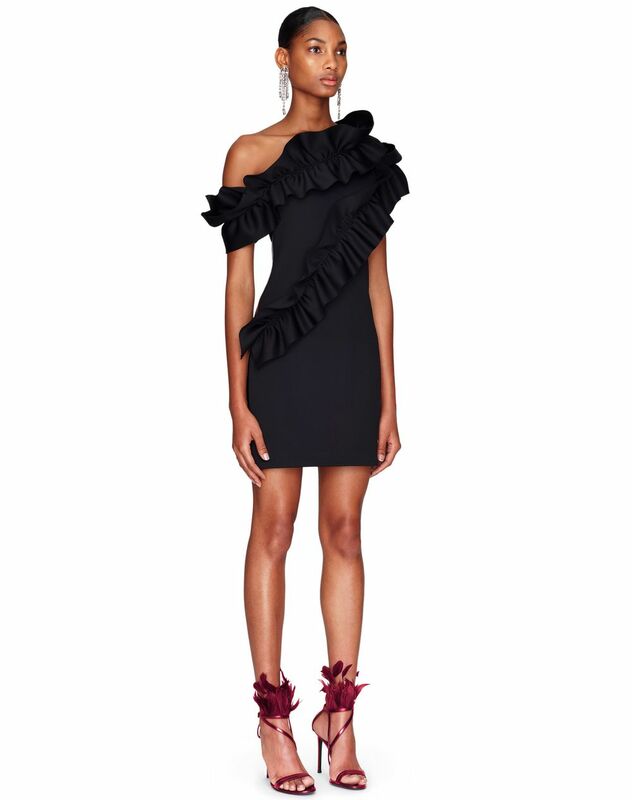 Embellished with sculptural petal-shaped ruffle details and a lacquered zip appliqué that contrasts the matte effect of the neoprene, this evening dress is the perfect piece for a modern and elegant look. Main material: 100% polyamide knit. 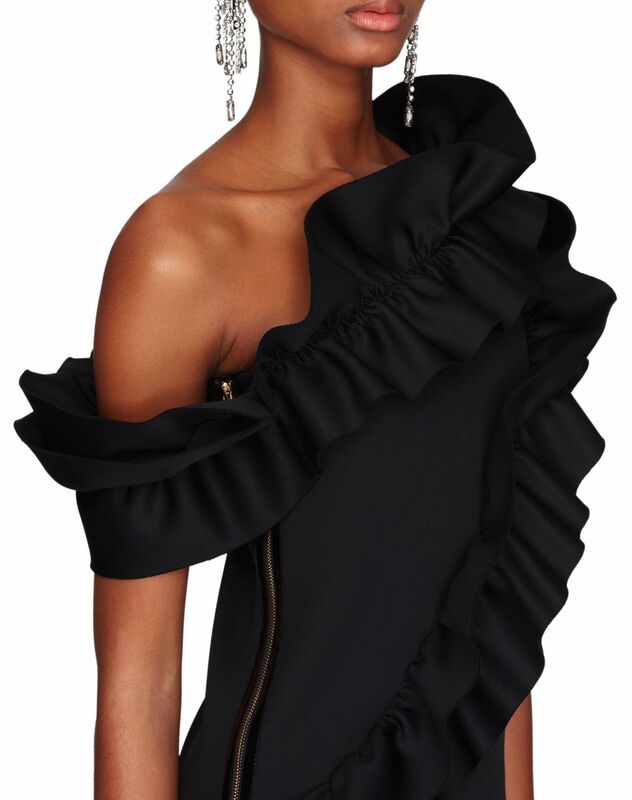 Model's measurements: Height: 179 cm Bust: 72 cm Waist: 57 cm Hips: 87 cm Model wears a size S. Made in France.